The photo shown was after the carpet factory.It then belonged to Langs the Timber Merchants.It's last owners before it became flats,used to be one of our chairmen at Love Street. Was it not Filshill Sweet factory? No.That was in the big empty void on the left of the building opposite the van hire shop. When I saw this thread I suddenly thought of (slightly off topic) the new horrible addition to the architecture of Paisley - those clad ridden appartments opposite the Abbey. How on earth did they wangle planning permission for those in such a prestigeous site! No prob. Filshill premises had burnt down and they decided to move to Hillington Estate. I`m not sure if it was owned buy Langs. 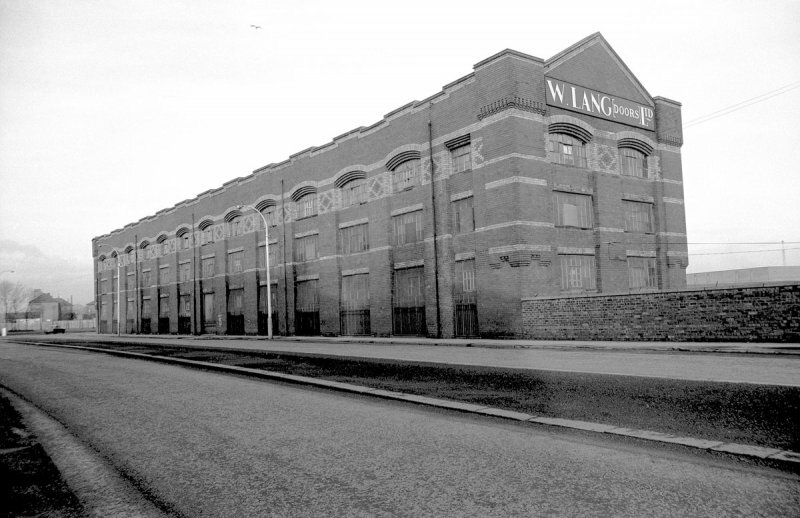 I worked in langs in the late seventies and they operated from the building that is dingbro motor factors now. They also had the yard & buildings where pro life is now but i cant remember them owning the building in the picture. Actually it's Lang.Even I wrote it down wrongly. If you look at the picture more closely,there's a clue. I used to live very close to it but damned if I remember. Slumberland keeps coming into my head but I'm far from sure. Great idea for a thread!!! I now pass by it as I walk to the airyplane place. When I was a lad, the PDE used to have an unidentified weekly foto of some interesting lump of Paisley architecture, that meant I kept my eyes looking up at, and admiring, all the buildings in the lovely town. It was a good part of my education. 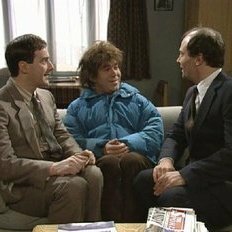 I remember that PDE feature too but are you sure you were just a lad? I would have thought it was a bit later than that. Hairy arsed schoolboy springs to mind. My father worked at Andersons Fireplaces in Queen Street. My papa worked in Andersons Fireplaces - He used to Drink in The Vaults ? pub Just behind Love street - Springbank road ! The next picture in the series should need no introduction as everyone knows the building. Those of a certain vintage would also have spent some time inside this building when still at school. 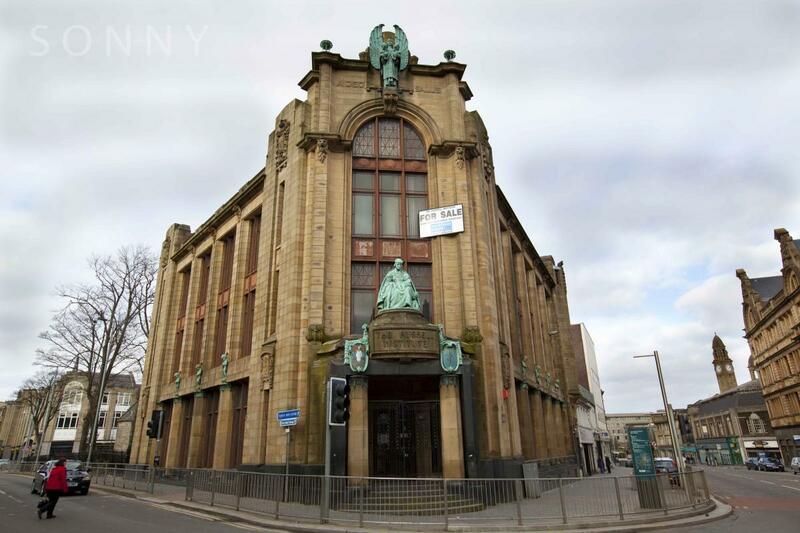 I am so sorry to see it is up for sale but as long as its put to good use and not pulled down like so many other great Paisley buildings. Aye Bluto I have many memories of sitting in that chair behind these corner windows. Always liked it in the summer when the windows were open a wee bit and I would sneak a look up Causeyside St. I have no idea about any plans for it and will maybe show some close up shots of the poor kids and statue at a later date. 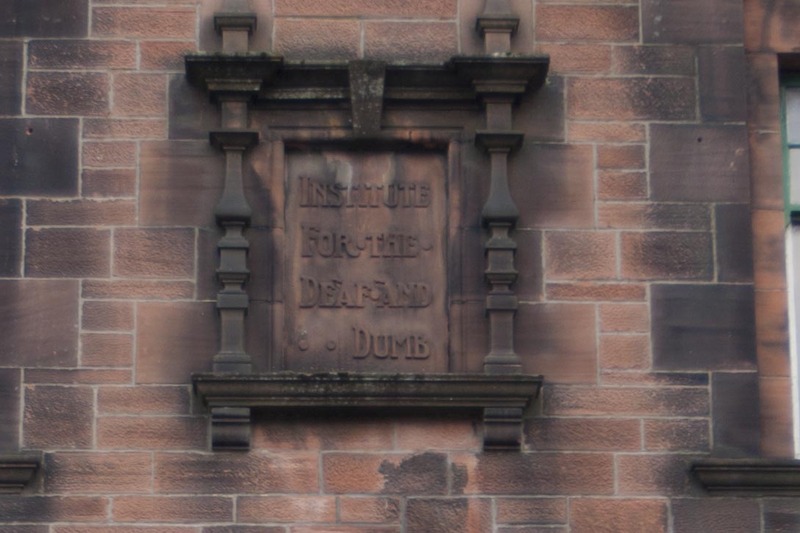 Great link about the Russell Institute Bluto. Very informative. At this rate Paisley will be full of tour guides in a couple of months. Noo the bethany church whatsit Queen st? No. Further east than Queen Street, about 1/2 mile..